Alex Tordoff is a 20-year-old event rider from Leicestershire and the driving force behind Hyde Lodge Horses. Previously trained by several 4* riders, he was most recently based with J-P Sheffield. Alex was the top British rider at the 2015 European Junior Eventing Championships in Poland, finishing fifth overall. Hyde Lodge Horses is his own brand new bespoke yard in Leicestershire where he is building up a string of event horses. He sources and produces quality young horses, as well as competing horses at all levels. My support of Alex includes the design, hosting and maintenance of his new website and supply of competition images to him during the season for publicity use. Alex is now looking for owners and/or syndicate members to join the journey. Specifically her currently has ten shares in his 3* horse Cool Jack available for a one-off payment of £5,000. Eliza is a 24-year-old up and coming professional event rider. She was a GB Team Silver Medallist, at the Pony European Championships 2008 in Switzerland, finishing 5th individually. 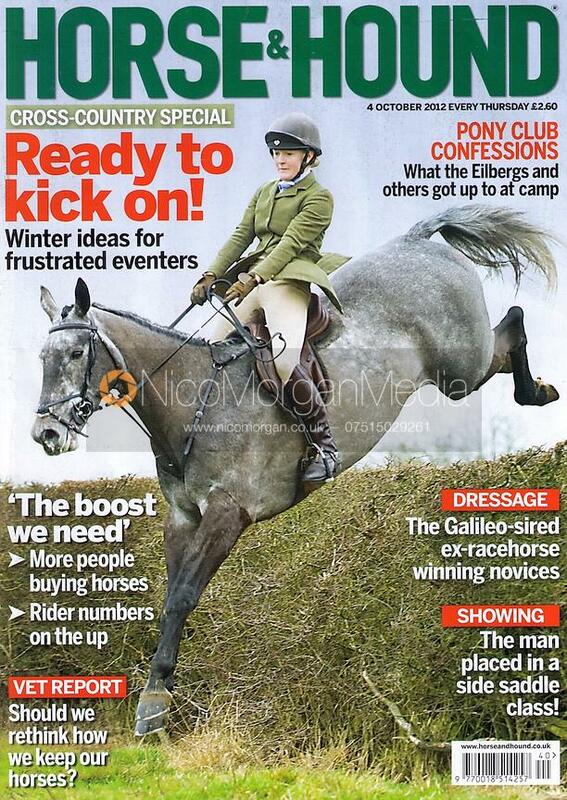 She was also Under 18 National Champion 2010, and Young Rider GB Team reserve 2013. Producer of European medal winning ponies including Killacoran Blue and Strawberry Box and National U18 Champion Strike A Pose. Young rider horse, Waldoff, stallion Future Gravitas, and Priorspark Opposition Free among others. Based in Leicestershire, a central location with access to top training centres which is ideal for producing horses, she has a small family run yard with beautiful surroundings. Greta Mason is an up and coming talented young event rider aiming to compete at the highest level and work towards representing her country on either an Australian or GB team. She is currently based in Kings Cliffe, Northamptonshire just outside Peterborough. Greta was born in Australia and had her imagination first fired for equine adventure when she was four. This has no doubt paved the way for her appetite for fast cross-country riding as her hired mount aptly called Bullet ran off with her into the Tasmanian forest. Greta lived there for 8 years before moving to England. She got her first pony at the age of 8yrs and that fired her passion to make riding her career. Over the past few years Greta has produced a number of horses, most notably Tinkers Pearl and Cooley for Sure who are now at CCI2* and competed this year at the Young Rider Championships at Houghton Hall in 2017. Both horses have gained valuable experience through the year.Alongside her more established horses Greta is currently is producing a number of other younger quality eventers from 4 year olds upwards which are for sale. In addition, Greta has enjoyed considerable success with her involvement in the Pony Club. She been a key longstanding Burghley member being part of the winning Eventing Championship team in 2016. At this event Greta also won the individual Pony Club Championship Cross Country Bursary. Following on from this in 2017 Greta gained her A test with Honours and has just been appointed as a Pony Club Ambassador. At 26, Willa is one of the most talented young riders to emerge in the sport of eventing. Having continued to develop her riding career at top level, alongside her Business Management Degree study (now complete), she has demonstrated both her commitment to the sport and sound business sense. She is looking for sponsors and owners to help build on her significant early success and achieve her next goal – to represent Great Britain in the Tokyo Olympics in 2020. Willa hopes to share her progress, success and latest news through her website. My support of Willa includes the supply of promotional and publicity images both in and out of competition for Willa and her sponsors. If you are interested in becoming part of the sport of Eventing and supporting Willa in anyway or want to ask her any questions please do not hesitate to get in touch.